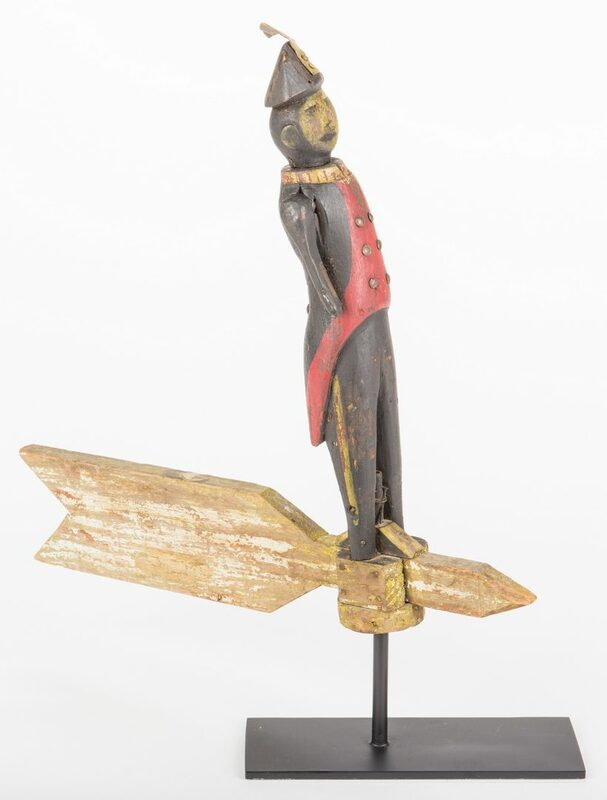 Folk art painted and carved wood whirligig, depicting a soldier with brass coat buttons and brass feather to hat, standing atop an arrow. 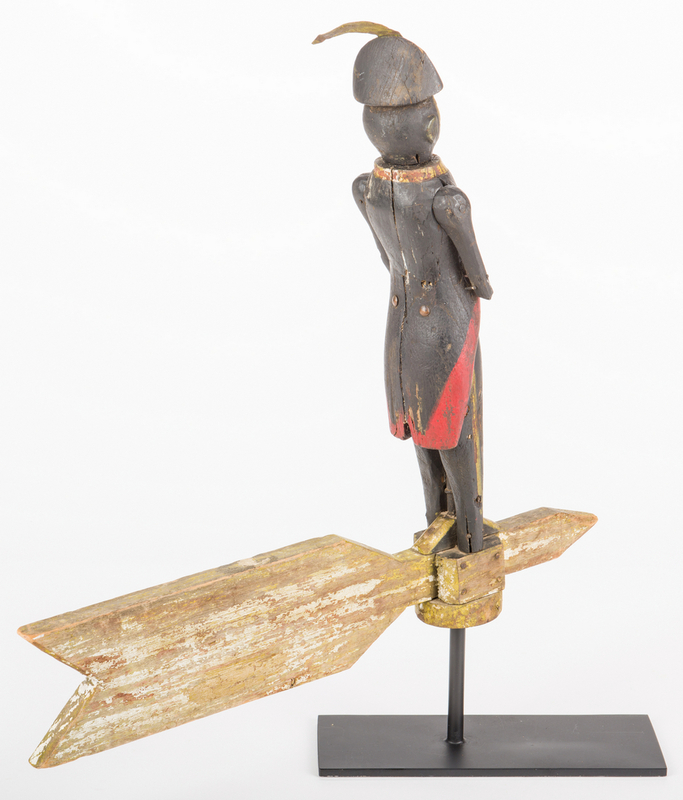 Includes two contemporary black metal bases (removable) – one rectangular, the other circular . 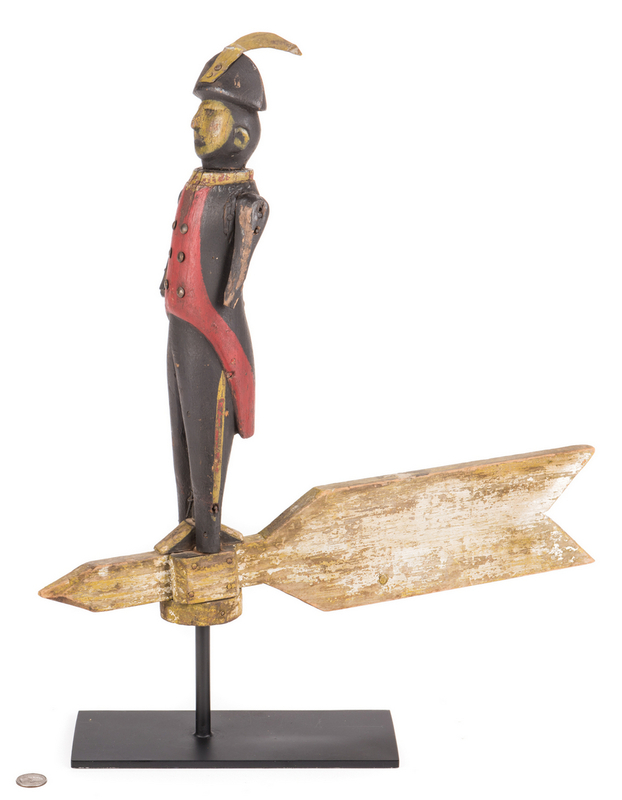 Whirligig – 18" H x 19 1/4" W. 22" H overall with stand. American, 19th century. Provenance: Private Middle Tennessee Collection, purchased 1998 from Antique Associates at West Townsend, Massachusetts ( a copy of a Maine Antiques Digest ad featuring this item will be made available to the winning bidder). 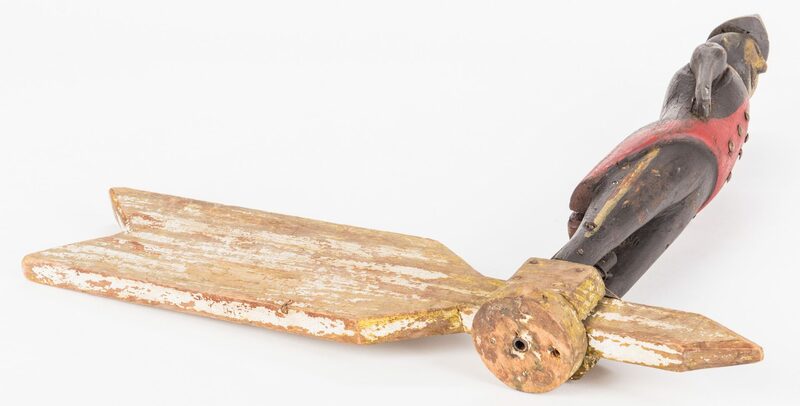 CONDITION: Some scratching to top, minor wear to paint decoration. 1/4" loss to lower left corner, top drawer. Losses to back, center of return and right side. Top right facing backsplash return fluoresces under blacklight inspection, indicating paint retouch.